More than 130 colourful lanterns were lit this week in Zigong City, southwest China. China's "Lantern City" is welcoming the upcoming arrival of the Chinese Lunar New Year on Feb. 5. This year's Zigong lantern festival presents porcelain lanterns and bamboo-woven lanterns that have not appeared for many years. A porcelain lantern unit comprises 200,000 pieces of porcelain. Many visitors were amazed by a magnificent peacock lantern, which is 22 meters tall, with its shiny "feathers" turning into different colors. 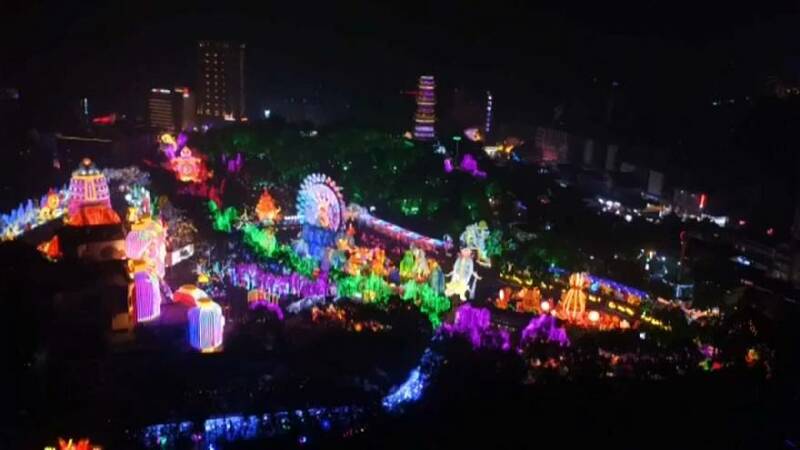 The lantern festival in Zigong will last until late March.